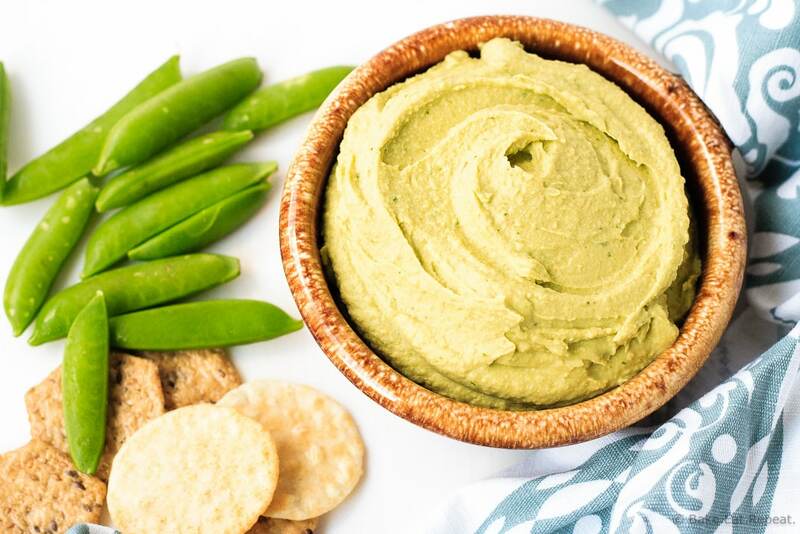 This smooth and creamy avocado hummus is a super quick and easy dip that is full of flavour, making it the perfect healthy snack! So I’ve mentioned before that plain hummus and I don’t get along. But flavoured hummus? That I can get behind. I think roasted red pepper hummus is still my favourite (I need to make that again! ), and this black bean hummus is amazing, but this avocado hummus? It’s gonna be joining those two in the regular rotation now. Pretty awesome. You know, if you enjoy the hummus. As always, I was the only one in my house eating this. Which meant I ate hummus every day for a week. It’s too bad it doesn’t freeze nicely because I always end up eating it incessantly when I make it and then I’m kind of sick of it for a while. Any of my family or friends want half a batch next time I make it? Let me know, because then I could make it more often, I wouldn’t have way too much every single time! If you like avocado, lime and hummus you will enjoy this dip. And really, how can you not like those things? My family is seriously missing out. This dip is creamy and full of flavour. And, like any hummus, super quick and easy to whip up. It does take a bit longer if you remove the skins from the chickpeas, but I would highly recommend taking the 5 minutes to do so. It really makes for such a silky smooth hummus when you take the skins off before pureeing. 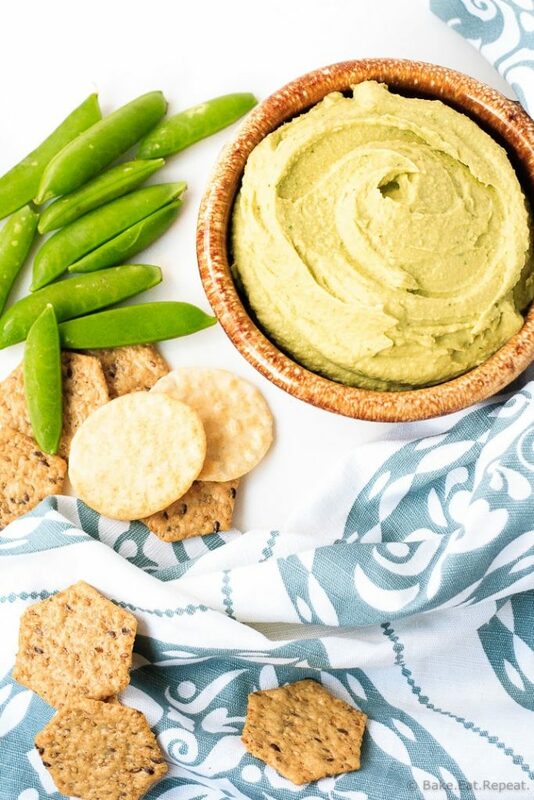 We loved this avocado hummus. And by we, I mean me. Because I’m the only one that ate it. And it was amazing. In a small bowl, whisk together the olive oil and tahini. Set aside. In the bowl of a food processor place the avocado, garlic, chickpeas, salt, and cilantro and process until combined. Add the lime juice and process again. Then as the food processor is running, drizzle in the tahini mixture and process until smooth and creamy, about 2-3 minutes. Hummus will keep well in the refrigerator in a sealed container for 5-7 days. It’s not necessary to remove the skins from the chickpeas, but removing them will make for the smoothest hummus. If a bit of texture doesn’t bother you feel free to skip that step, but for a silky smooth hummus, take 5 minutes to remove the skins - totally worth it! Source: Adapted from my roasted red pepper hummus . I just tried beet hummus for the first time--all I can say is AAAAAAHHHHHH--mazing!!! I love avocadoes, too, and make my own guacamole. I decided to try commercial hummus mixed with my guac, and it was SO heavenly!! I don't like to mess around with making hummus, though I love to cook and bake, so using commercial doesn't bother me. I might take this recipe you posted and tweak my own recipe with it, see how that comes out. Tomorrow, though, I'm going to make a beet hummus-guacamole dip. Can hardly wait to test that one, and aw, there's only me to eat it. Hm; guess I'd better plan on another guac/hummus dinner :-) ! I super love avocado and hummus but I have never thought to put them together. Definitely trying! They're so good together, you would love it! Thanks Rachel! I can't believe I haven't tried this yet. . so making this! love! Thanks Alice! It's amazing, you definitely need to try it! Yum! My two favorite snacks combined! I would have never thought to combine them! Sounds amazing Stacey! Two of my favourites too - probably why I loved it! Thanks Kelley! Haha, you wouldn't have to buy it - just come on over! :) I'll keep you in mind next time I make some! I enjoy any sort of hummus...especially when it's spicy! Now to try an avocado hummus. I know I'd sneak it away to eat it all by myself!! Oooh, spicy hummus! That sounds great, I definitely need to try that next! Thanks Lora! This hummus looks amazing and sounds really flavorful. 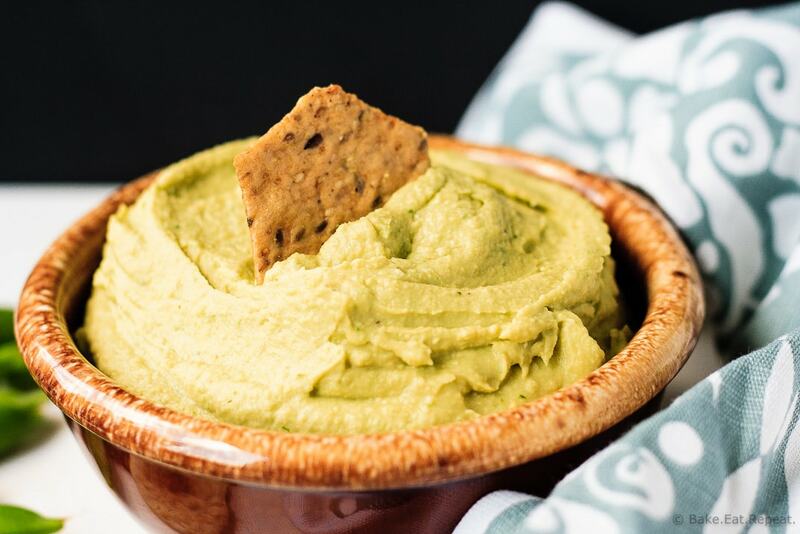 I never tried putting avocado to hummus before, so this one's a must try for me! Thanks for the idea Stacey! Thanks Andi! It was really good, like a cross between hummus and guacamole! Hummus is pretty much my favorite spread ever! And I love avocados, so this is just perfect! I love how creamy this is, Stacey! I think I would eat this all in one sitting! Yum! This hummus looks amazing... Avocado hummus is such a creative idea.. definitely making this! I love this idea, it's such a fun twist on classic hummus! My girls love both hummus and avocado so they will go crazy for this, my youngest is super into dipping everything right now. My kids have never been into dips, I totally don't get it. Only my youngest will even try any kind of dip! He wouldn't try this just cause it was green! :) Thanks Sara! I love avocado and I love hummus so I have no doubt that this would disappear quickly if it was set in front of me! Me too! It wasn't really a problem that no one else wanted any! :) Thanks Melanie! Yummy! Who doesn't love avo? And the hummus looks amazing! Right? How can you not like avocado? I don't understand it at all. But then, I think most kids aren't really fans! :) Thanks Medha! Ooo! I happen to have all the ingredients for this right now! Sounds so good! I love the touch of cilantro, too! So nice! I can't put avocado in anything without cilantro. It's completely impossible! Thanks Patricia! Yeah, I didn't really mind all that much! I enjoyed this one a lot. Thanks Denise! I loveeee pretty much any flavor of hummus! I've never tried with avocado ... but I need to! This looks wonderful! I sometimes wish my husband didn't like hummus ... he always beats me and eats almost all of it! Haha, yeah, maybe that would be more annoying, having it disappear before you get any! :) Thanks Ashley! haha yay for eating the whole thing by yourself Stacey! Yes I can see your family is missing out, big time because this hummus looks so good and has all these delicious ingredients in it. What's not to love? Well, you can't let it go to waste right? Besides, it's healthy! :) Thanks Manali! Ummmm I want a half batch! :) Definitely need this in my life, yum! Right? How can you not like hummus? My family is crazy! :) Thanks Senika! I've never had avocado hummus before but I like the sound of it. It looks so creamy and flavorful. I need to try it! The avocado made it so creamy, I loved it! Thanks Jen!